Traditionally, beadboards were installed panel by panel, creating a durable surface with a lot of character. However, the humidity would make the wood pop and the paint crack making it difficult to maintain. Thanks to modern technology, beadboards are now made of lightweight materials and come in monolithic sheets, making it quick and easy to install. Although beadboards are usually used to add a farmhouse or cottage accent to the space, creative utilization of it can result in modern looking interior designs too. Here are some ideas to inspire you on how to elevate the look of your home with this inexpensive yet beautiful material. Although beadboards are usually used to add a farmhouse or cottage accent to the space, creative utilization of it can result in modern looking interior designs too. Beadboard wainscoting is an excellent solution to conceal any imperfections on your wall while introducing a design element into the room. Not only that, but wainscoting could also keep your room warmer when the weather is cold and protect your structural walls from damage. 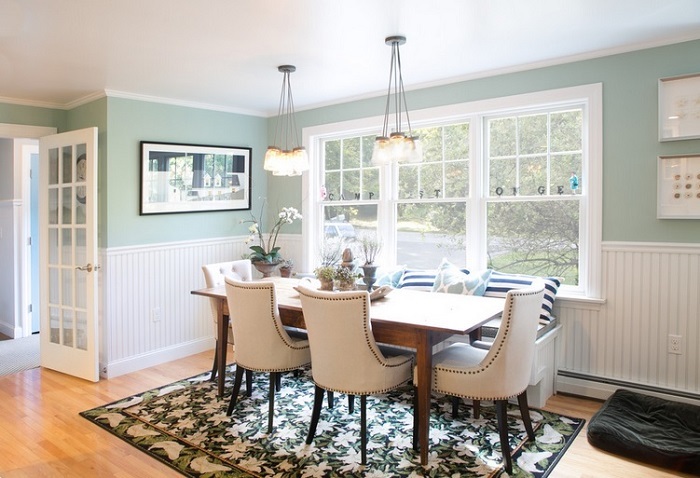 You can pair a simple beadboard wainscoting with patterned wallpapers for a dramatic effect or simply paint the wainscoting in a clean white color to brighten up the room. Beadboard wainscoting installation is easy and does not take a long time. The kitchen is one of the most important rooms of the house and should always be well-maintained. An upgraded looking kitchen can make cooking a pleasant experience, resulting in a healthier living lifestyle. If you do not want to spend a lot of money to replace your kitchen appliances, consider refreshing the look of your cabinets instead. Beadboard cabinets will instantly add style to an old and traditional kitchen. The beadboards can be painted any color that you desire to fit the theme of your kitchen. For a more modern look, you can paint the beadboard cabinets into a contrasting color to make the interior space of your kitchen more exciting. Beadboards are almost always installed with the beads lined up vertically. However, add a surprising twist by turning the beadboards on its side while installing them. Horizontal lines will augment the sense of spaciousness in a room, making it seem airier than it really is. Horizontal lines will augment the sense of spaciousness in a room, making it seem airier than it really is. This solution is especially ideal for small rooms to make it appear larger. Further enhance this effect by painting the beadboards in a pure white color to brighten up the room. The function of a backsplash is to protect your walls from water splash damage. However, you can achieve the functionality of a backsplash and add a design feature to your bathroom or kitchen simultaneously by having beadboard backsplash. Beadboards are durable and easy to clean, making it an ideal material for a backsplash. If you are looking to add character to your kitchen or bathroom, consider installing beadboards behind the sink. This solution will not take up any extra functional space while still enhancing the interior decoration of your room. 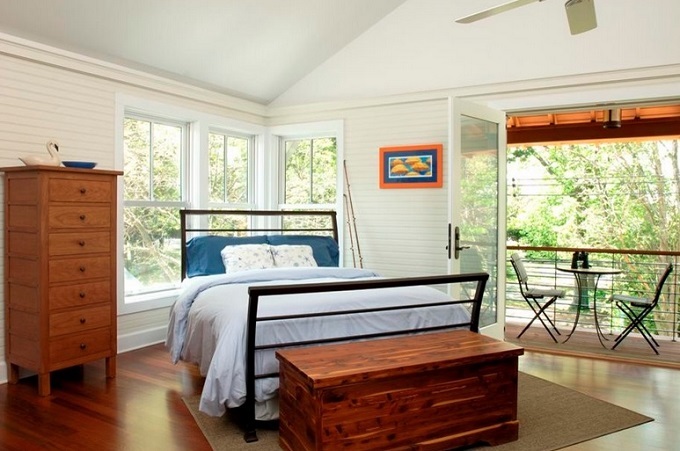 Beadboards are inexpensive, easy to install, durable and very versatile. If you are looking for an inexpensive and quick way to improve the look of your bathroom, you may want to consider surrounding your bathtub with beadboards. Not only does this stylistic trick give your tub a refreshing look, but it also hides access panels that are needed for jetted bathtubs. Because beadboards are easy to clean and maintain , they are also the perfect material The distinct texture of beadboards complements that of stone flooring and countertops. Beadboards are inexpensive, easy to install, durable and very versatile. For a traditional cottage or farmhouse look, use beadboards with narrower boards. Beadboards with wider boards look less cluttered and can be a great addition for a sophisticated look. Beadboards can also be customized with random width boards, creating an artistic flair in any room.